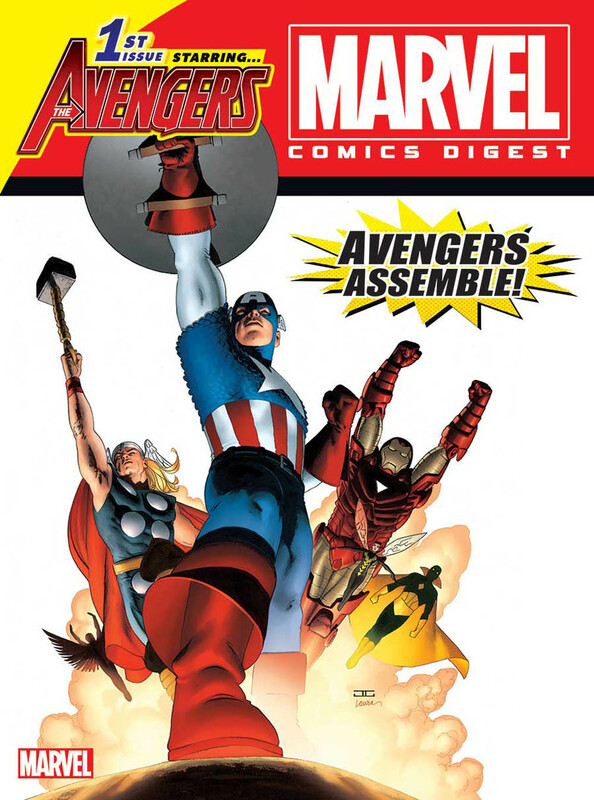 Marvel Comics' best-selling heroes are back in the ever-popular digest format! This second issue spotlights the blockbuster superhero team The Avengers! This is a can't-miss collector's item that will only be printed once! 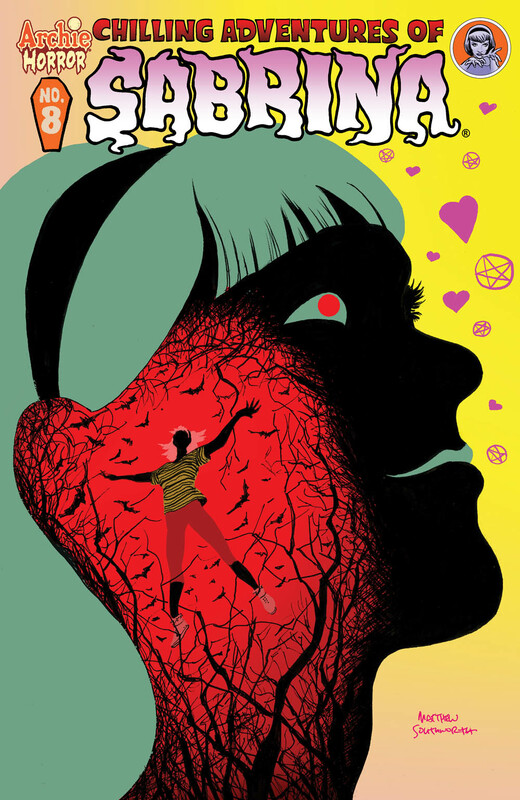 "WITCH-WAR" Part Two, "Burnt Offerings": Edward Spellman, trapped in Harvey's body, has been reunited with Sabrina, and is ready to enact his dark agenda! BRAND NEW STORY ARC! The fallout continues! 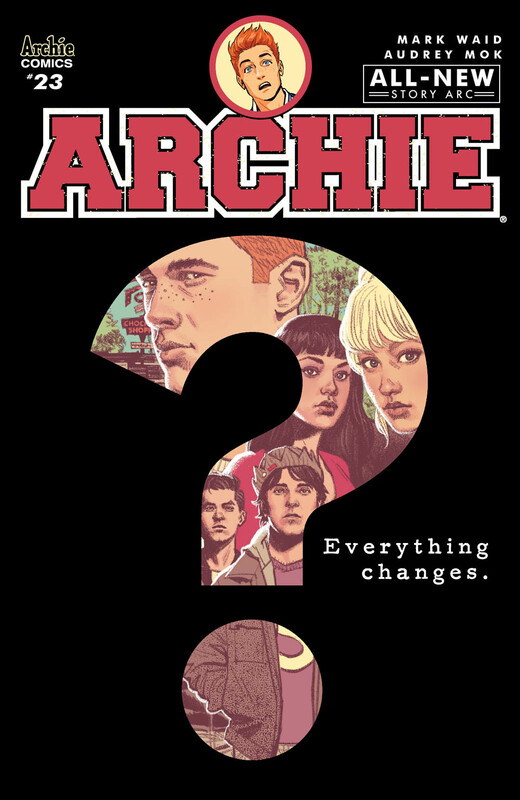 One life has been destroyed, another family has been torn apart--and only the kids of Riverdale High can save their town from imploding! 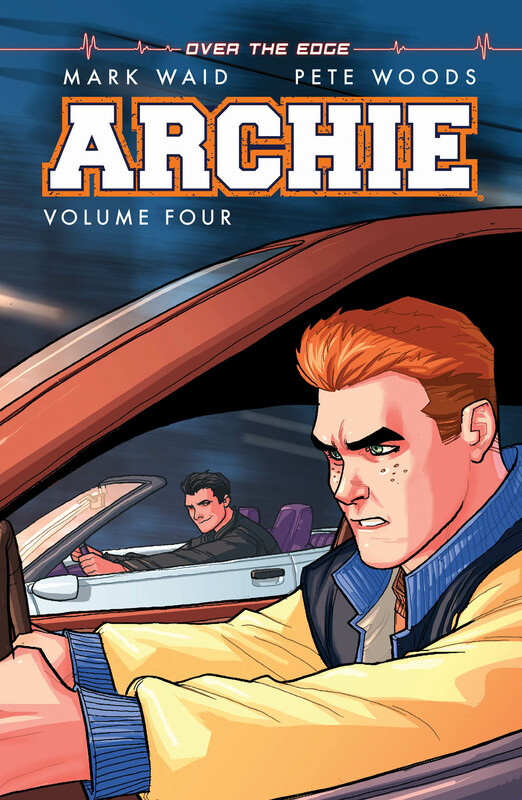 The fourth volume of the ARCHIE series features the headline-making comic event "OVER THE EDGE," where the lives of Archie and his friends are forever changed. 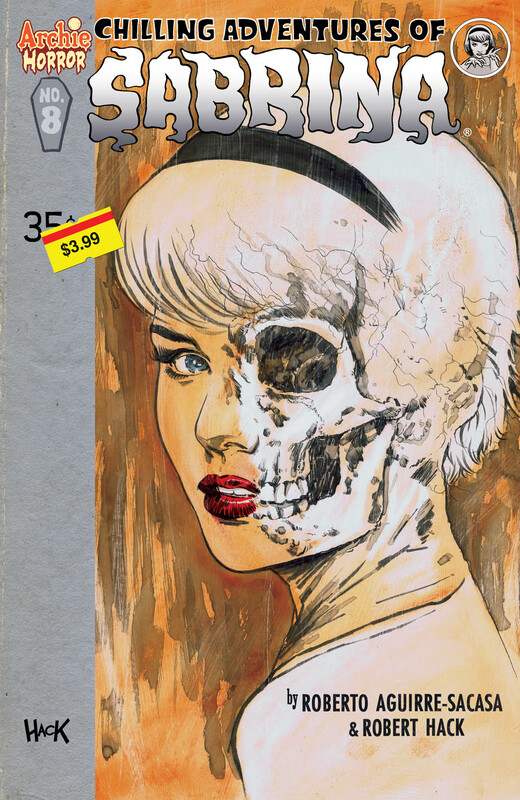 Collects Archie issues 18-22. 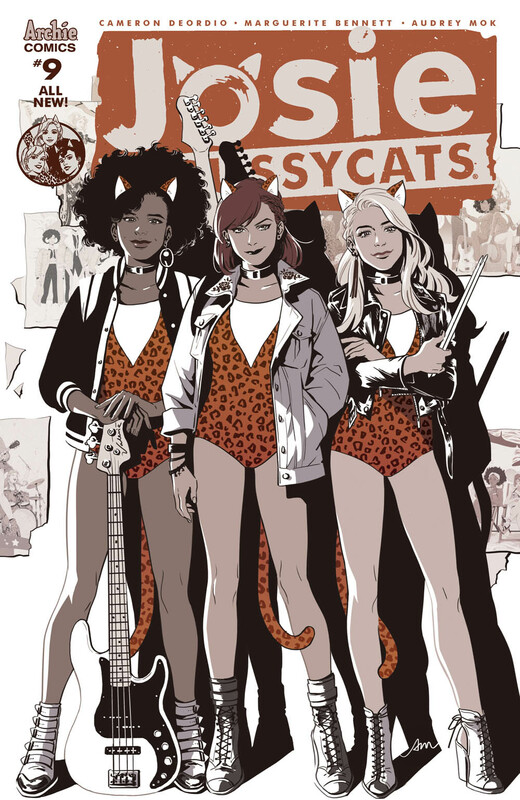 The Pussycats and their various musical allies and friends must unite to save the kidnapped Archies! Don't miss the stunning finale to "FASTER, PUSSYCATS: DRIFT, DRIFT"! 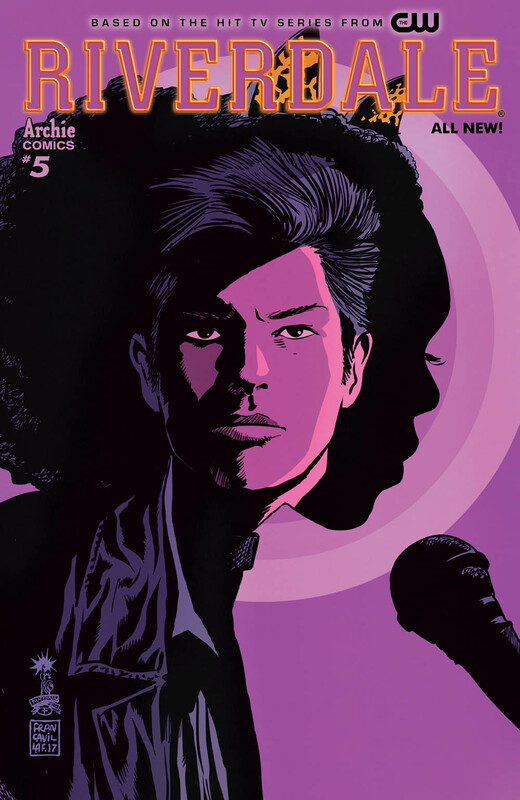 Set in the same universe as the hit CW series, this issue gives us a peek into what makes Riverdale High hot-shots Reggie Mantle and Josie McCoy tick. Reggie's used to getting what he wants, and sets his romantic sights on the lead singer of the Pussycats. But when Josie turns him down, just how far will Reggie go to convince her he's worth an audition? IT'S BACK TO SCHOOL for our DOUBLE DIGESTS! 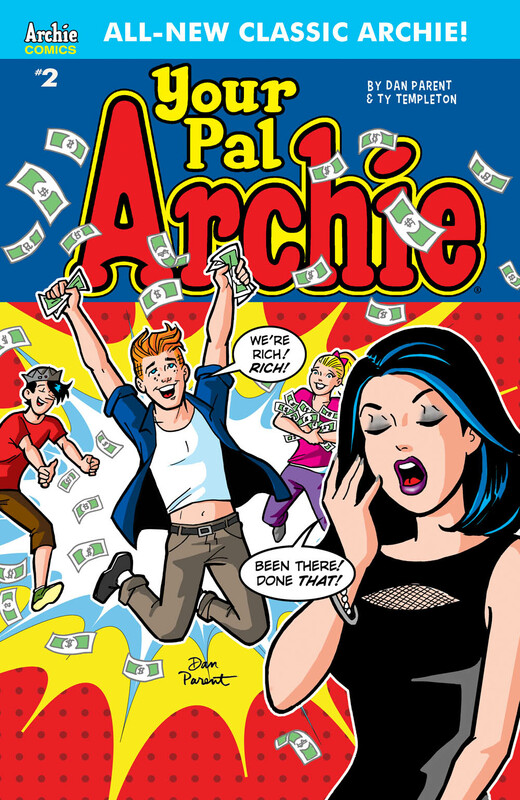 In the BRAND NEW story "It's All Relative," Archie's Uncle Roy is a business success story--despite never finishing high school! 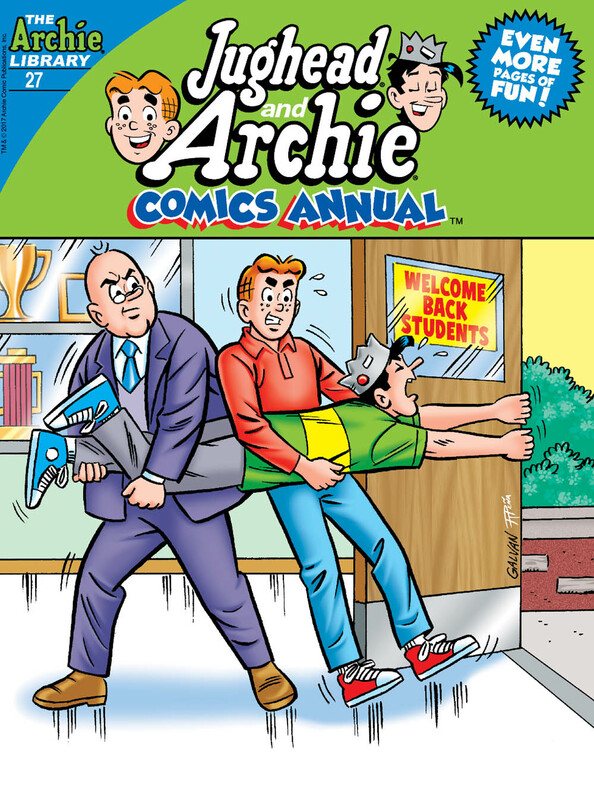 He decides to go back and get his diploma at Riverdale High, and puts a cramp in Archie's style! 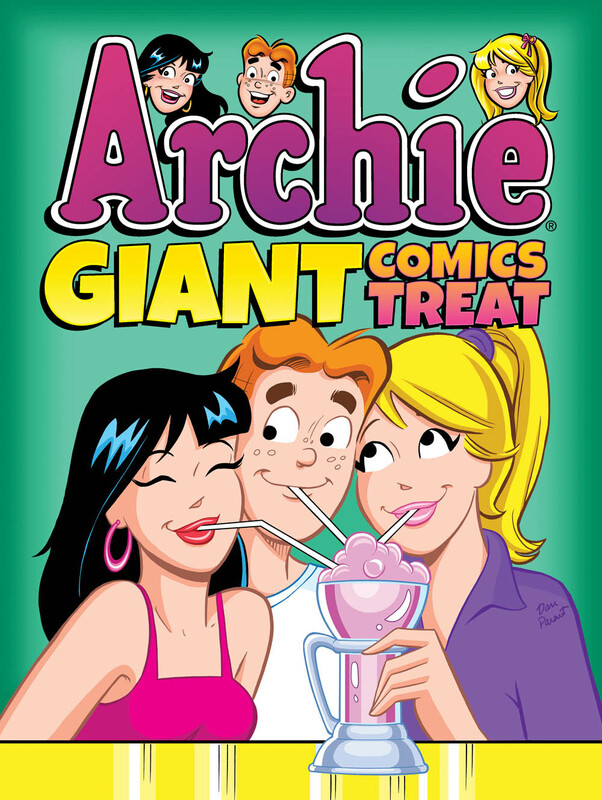 You're in for a TREAT with this collection of 480 pages of iconic Archie tales in one amazing volume! Good things come in threes, and this is a triple threat of MAGIC, MUSIC & MISCHIEF! 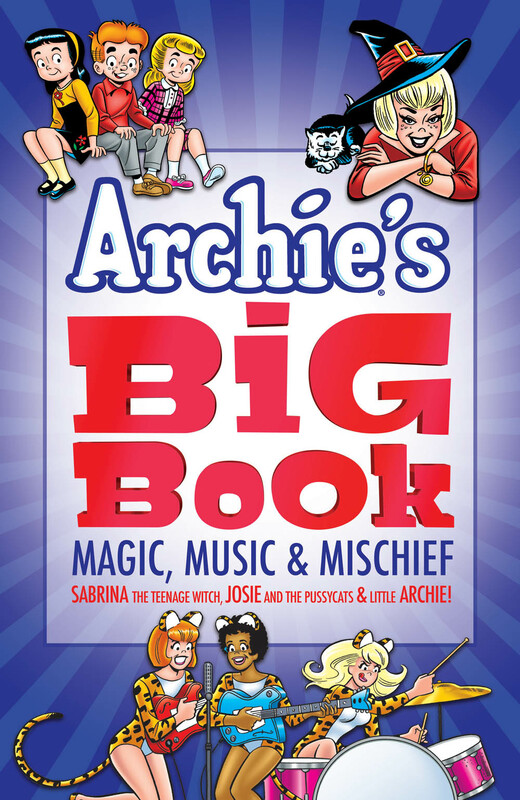 This collection of classic stories features three amazing series: Sabrina the Teenage Witch, Josie and the Pussycats and Little Archie! IT'S BACK TO SCHOOL for our DOUBLE DIGESTS! 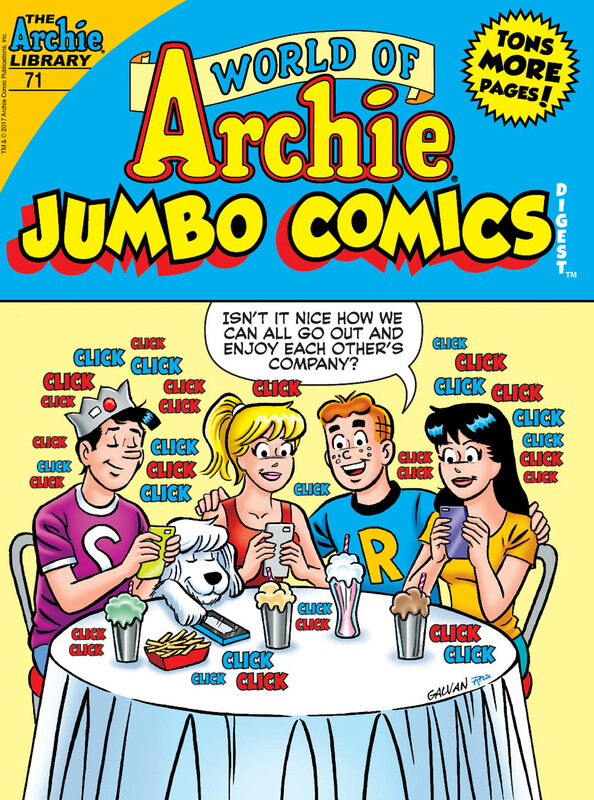 In the ALL-NEW story "How Shocking," one of Dilton's lab experiments goes awry (thanks to Archie), and things get REALLY weird! 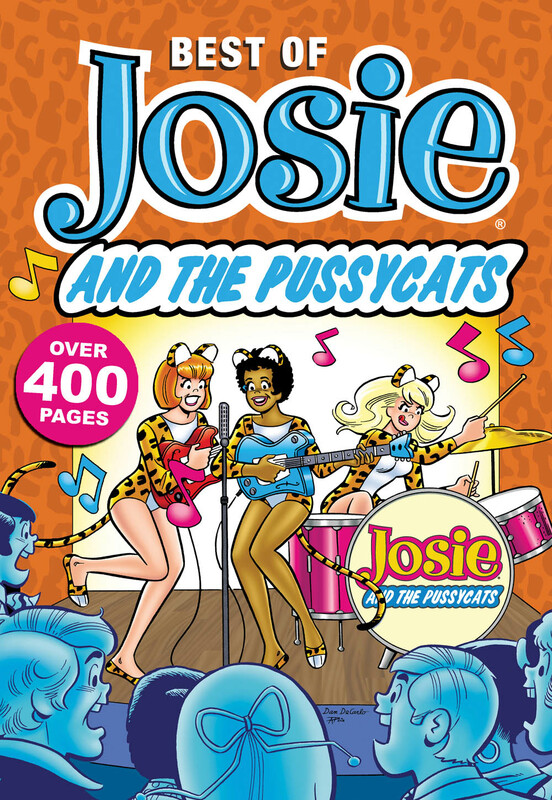 Get out your long tails and ears for hats, this graphic novel that collects over 400 pages of the BEST and most ROCKIN Josie and the Pussycats stories! IT'S BACK TO SCHOOL for our DOUBLE DIGESTS! In the BRAND NEW story "Don't TEST My Patience," Veronica gets the highest score on the student aptitude test--but has there been some tampering with the results? IT'S BACK TO SCHOOL for our DOUBLE DIGESTS! In the ALL-NEW story "You BROKE it, You BOUGHT IT," Archie breaks Riverdale High's prestigious football trophy, so it's up to him and Jughead to fix it before anyone notices! IT'S BACK TO SCHOOL for our DOUBLE DIGESTS! 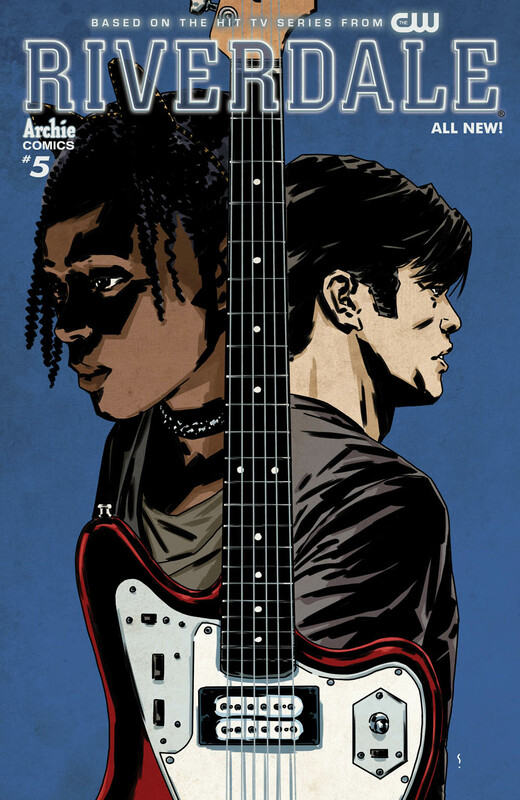 In the BRAND NEW story "Hitting a SOUR Note," Archie's musicianship lands him the opportunity to go to a private music school. When he realizes that his skills are not up to par with his peers, is it too late to go back to RHS? 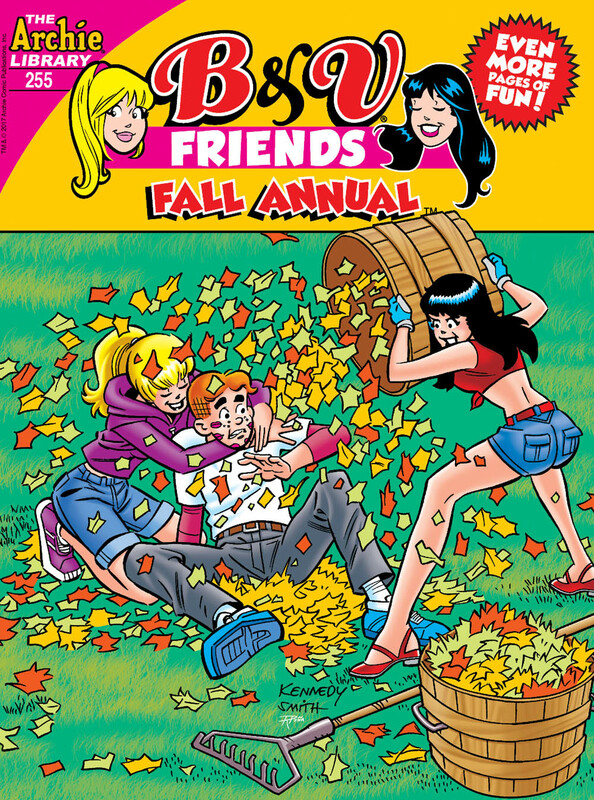 "Archie Comics are COMICAL comics"
Digest covers by the Kennedy brothers and Bill Galvan?? I have a subscription to Riverdale. Did they find an older previously-commissioned (but never published) story hidden in a drawer somewhere, or is Bill Galvan getting new assignments from ACP to help take the load off Dan Parent, since he's now working on Your Pal, ARCHIE ?? Don't take this the wrong way, because I absolutely LOVE what Dan Parent does. But if this means other classic Archie creators besides Dan are now getting new work assignments from ACP, it's the best news I've heard in a long time! 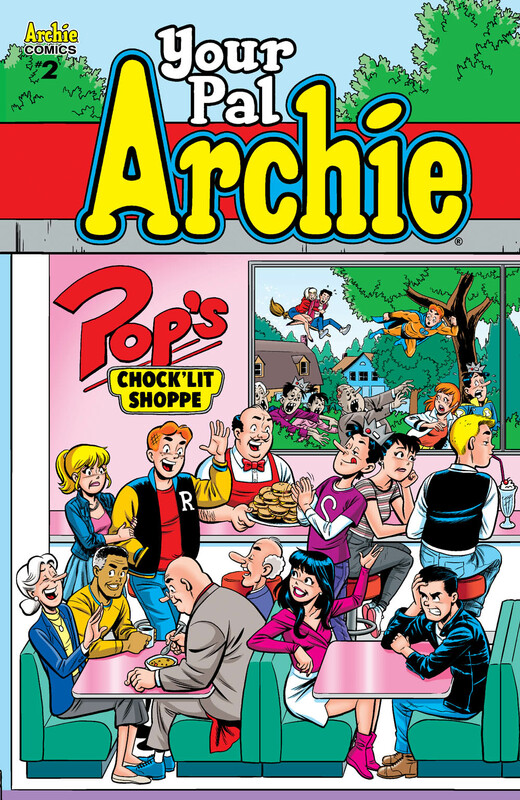 You should always, ALWAYS pre-order classic Archie stuff. Otherwise it doesn't get published. Your pre-order may wind up being cancelled by ACP, but those pre-orders are the numbers they're looking at when they make those kinds of decisions about what stuff will actually wind up being sent to the printers, because that printers' bill represents a big chunk of change for ACP, and they need some guarantee that they can get that money back. 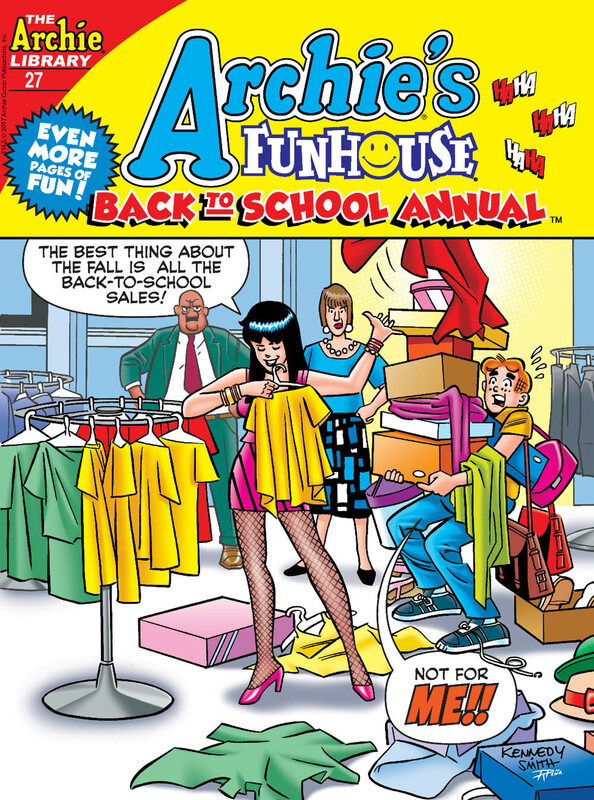 SO ALWAYS PRE-ORDER CLASSIC ARCHIE STUFF IF YOU WANT TO SEE IT ACTUALLY GET PUBLISHED. And that goes for the even smaller independent publishers (like Chapterhouse Comics, which publishes the print versions of Die Kitty Die) even more so. Support small press publishing efforts. ACP is teetering on the very edge of being a small press publisher (if not for the digests). You need to read that solicitation a little closer, my friend. The COVER is by Pat and Tim Kennedy. The ALL-NEW story, "How Shocking" is credited as scripted by Dan Parent, with art by Bill Galvan. -- plus he still has a boatload of Kickstarter commissions to draw for the last DKD campaign. You could say he's "kind of busy" ... Now granted, none of those titles are monthly, and only a few of them have more than 5 pages + cover that he's responsible for. But even so, over the last year or so he's drawn 240 pages of digest stories plus 48 covers, 4 issues of LIFE WITH KEVIN plus covers, and 8 issues of DIE KITTY DIE plus covers (and is still working on Summer and Winter Specials for DKD). I follow Bill Galvan on Facebook. This is indeed new work for him. He's been posting that he's doing covers and digest stories for Archie. That's great to hear. I know the only other credits I've seen for Bill are for work done for American Mythology Productions... Pink Panther, Underdog, and the Three Stooges all contained shorts and/or covers by Bill. Any other comic work of Bill's I should know about, VJ?? Not that I can find. He mostly posts about Underdog at least since I've been following him, but even when he wasn't getting new Archie work, he still constantly posted the Archie art he had already done. He seems to take real pride in drawing Archie! 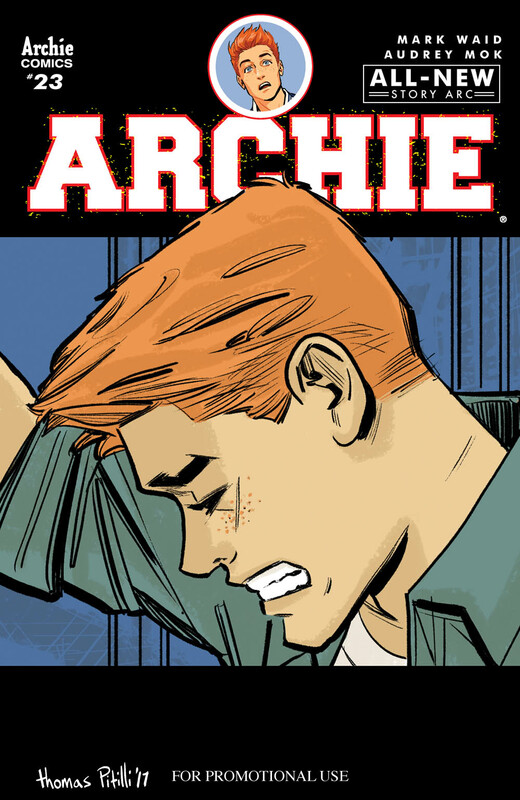 So if They either Kill Reggie or Betty, so we never see them again in Archie comic again right? I think it could be Betty. 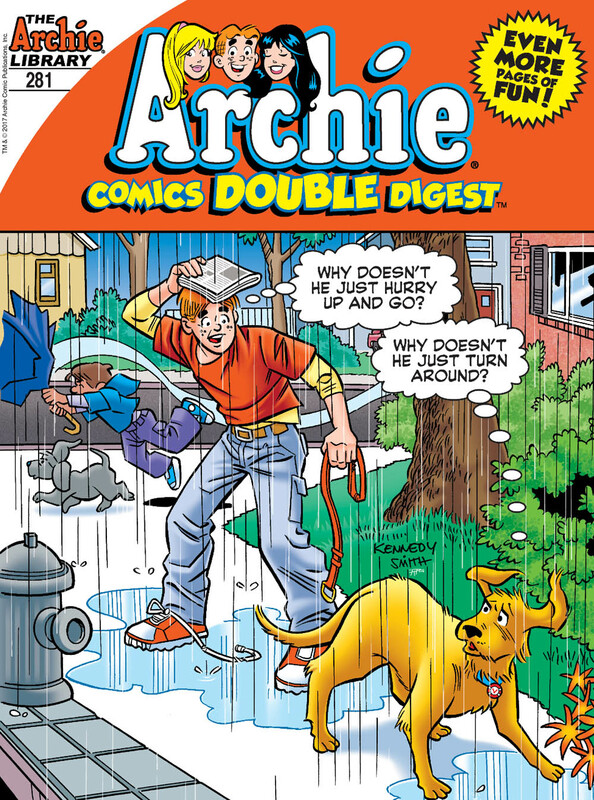 Because Archie looks like he is crying on the cover. He wouldn't cry over Reggie.